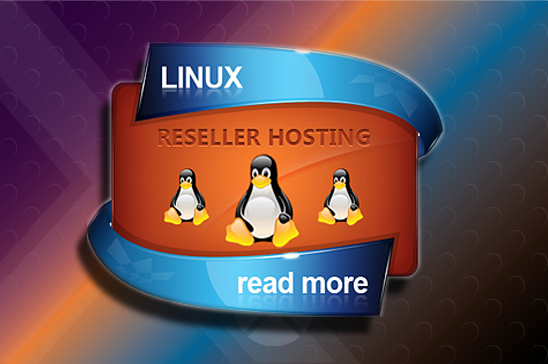 Unlimited Linux reseller hosting is one of the most profitable businesses available. It may not make you rich overnight, it has the potential of earning you steady profit year after year. You can earn money even when it’s not your primary source of income. Resellers are more like marketers and not the sole service providers. In such a reseller program, resellers are 3rd party data center server service providers and they have the facility of reselling the service in their own brand name. The concept is very simple. It involves buying unlimited Linux reseller hosting from the service provider and in turn selling the service to users in chunks. It therefore helps users generate sound revenue, just by working as the marketer of the service in one’s own brand name. You may think, what’s the benefit of the mother service provider. The mother company is able to sell the service to the reseller and the reseller in turn sells the service to the users by resorting to aggressive marketing campaigns. Therefore, the original service provider earns profit without having to market the service. In this hosting arrangement, the mother hosting company provides large tracts of storage space as well as bandwidth to the clients, which is reseller here. The clients in turn split the available storage space as well as bandwidth and market them as packages to their own customers by adding a margin over their cost. The host is the main vendor here and the reseller offers disk space for storage as well as bandwidth. In fact, when an user confronts any problem with the service, the customer support is also provided by the parent hosting company only and not by the reseller. Therefore, the reseller earns profit just by acting as a middleman and not even have to share the burden of providing customer support. #1 The reseller essentially sells the service by giving it its own brand name and not as a service provider of the parent hosting company. Therefore, the reseller doesn’t have to invest in any manner in buying expensive web servers. This can be said that the reseller doesn’t have to shoulder any responsibility of service provision. The entire customer and technical supports are provided by the vendor and not the reseller. #2 There are wide array of benefits associated with unlimited Linux reseller hosting and they are advantage associated with economies of scale, free database, high profit margin, maximum uptime guarantee, and unlimited data transfer. #3 Resellers buy the services in bulk from the vendors and that’s why they get the service at highly discounted rates. Therefore, the resellers are not at disadvantage, in terms of pricing, with respect to other hosting companies. The resellers can also offer their services to the customers at competitive rates and at the same time make profit by selling their service. #4 Even if you don’t have any technical knowledge about hosting, you can become a reseller. It is because all the technical supports to the final user is provided by the vendor and not by the reseller.